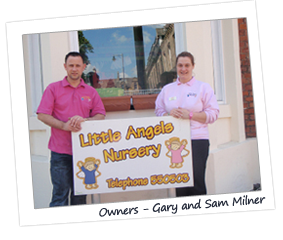 At Little Angels Nursery our main aim is to provide a safe, stimulating and happy environment to help children develop from a very early age right up to preparing for that first day at school. Thankyou for visiting our website. On these pages you will find information about our company. Please feel free to contact us with any queries you may have. We are Ofsted registered for a maximum of 52 places each day. We care for children aged 3 months up to 8 years. We currently operate 5 rooms, Baby Bunnies & Bouncing Bears (3 months to 2 years), Busy Bees (2 years to 3 years), Bubbly Butterflies (3yrs) and Brainy Badgers (3 years to 5 years). Copyright © Little Angels Nursery. All Rights Reserved. 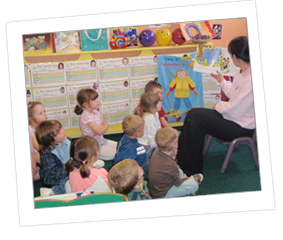 Nursery web sites by Faversham Designs.